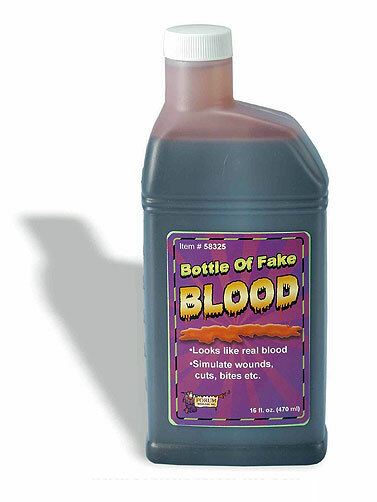 This bottle of fake blood looks like the real thing. Simulate wounds, cuts, bites, etc. Large bottle goes a long way. Pint of Fake Blood contains 16 fl. oz.